Slot titles from the Swedish slot developer Quickspin are now available in Denmark, through the online operator Betsson. A wide range of slots published by Quickspin, which include Northern Sky, Eastern Emeralds and Dwarfs Gone Wild are now available on the regulated Danish market. The games are available through Betsson’s Nordicbet.dk, which is a part of the Playtech Group. All titles published by Quickspin are optimized for mobile platforms as well. Nordicbet players who enjoy titles by Quickspin will be able to enjoy these titles both on desktop and mobile. “Our customers on Nordicbet.dk and Casinoeuro.dk will now have access to its high-quality games and outstanding gamification tools, which will offer our players with exciting and entertaining gaming experience,” said Joey Hurtado, managing director of casino brands at Betsson Group. Joey Hurtado also said that they are looking forward to running Quickspin tournaments and challenges over the next couple of weeks. Daniel Lindberg, CEO of Quickspin said that they are extremely happy and proud to see their popular slot games go live on Betsson’s successful casino brands in the Danish market. “It’s always a pleasure to collaborate with existing partners to expand the reach of our game portfolio in regulated markets and this deal further expands our presence in Denmark,” said Lindberg. In other news, 35 of Quickspin’s online slots have been certified by the Swedish Gambling Authority and are available on the Swedish market. 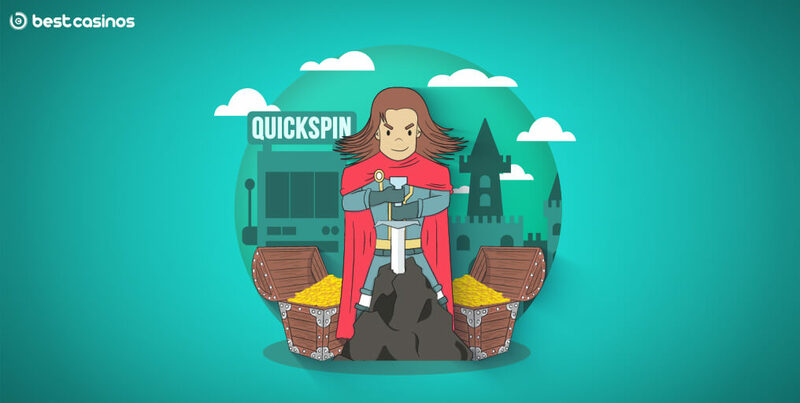 Quickspin, which is part of the Playtech Group, having been acquired by the Playtech Group in March 2016, has also gone live in Poland for the first time as part of the Playtech Group’s casino partnership with Totalizator Sportowy, the country’s largest operator. Lately, Quickspin has also signed a deal with Enlabs providing their full portfolio, including the titles and promotional tools.